Due to unforeseen circumstances at the Wonder Inn we’ve had to move the official album launch party for Gentle Songs Of Ceaseless Horror to First Chop Brewing Arm. This means we’re now having a Salford launch rather than a Manchester launch. But who cares about geography when we’re all having fun? First Chop is located under the arches on Trinity Row, Trinity Way. It’s Unit 3 (M3 5EN). The building is a fantastic independent working brewery. It’s a great space. 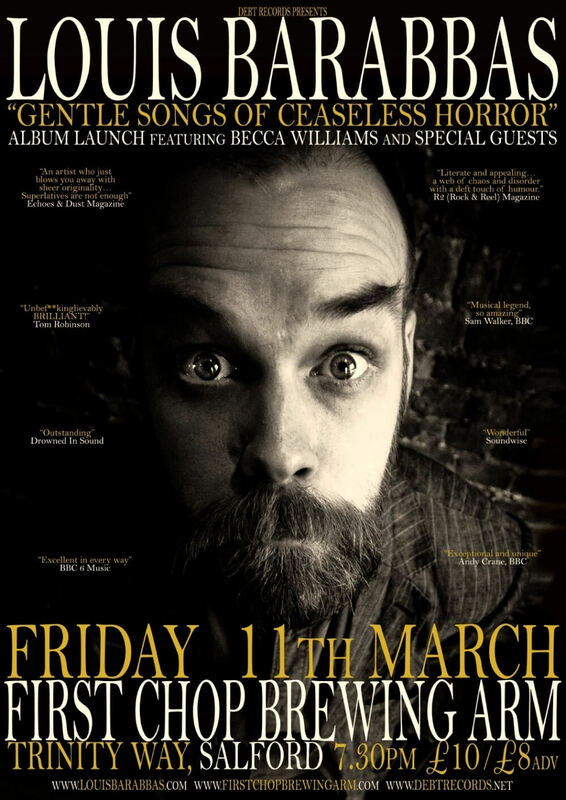 I hope you can join me there on Friday 11th March. Tickets are available here.